← Hello again – Good city gardening advice is on the way! Boston Flower Show Coming in March! Hello all! It’s time to mark your calendar and buy a ticket to the Boston Flower Show! Ahhh, a sure sign of spring!! The show will be held March 16 – 20 at the Seaport World Trade Center and it is one of my most favorite events to attend! 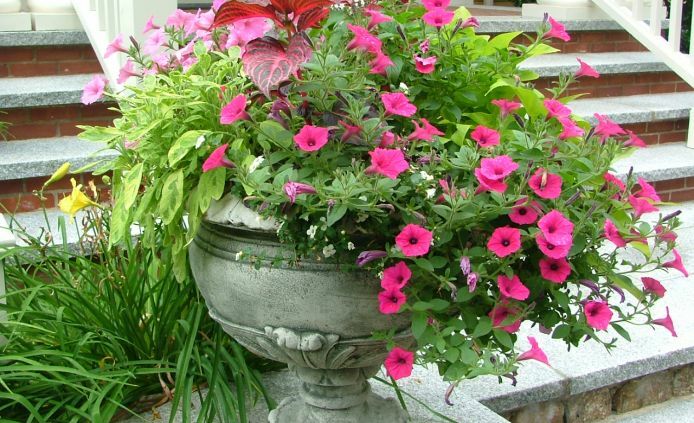 This year’s show should be fantastic for city gardeners like you and me because the theme is “A Burst of Color: Celebrating the Container Garden.” A container garden is a perfect addition to a small front yard, stoop, patio or roof deck. I expect to be wowed and inspired! There’s a special Flower Show Preview Party on March 15 to benefit the Boston Parks and Recreation Department. I just bought my ticket for that event at www.cityofboston.gov/parks. The Park and Rec people do such an amazing job keeping our parks beautiful. If you can afford the $125 ticket, it’s a worthy cause. For Flower Show general admission tickets and information, go to www.thebostonflowershow.com or call 781-273-5533.